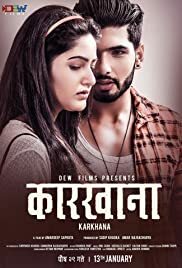 KARKHANA is a romantic drama with a strong social message. Although the main plot has been kept unrevealed to keep the suspense and maintain the surprise element but overall it is a story about a women’s wrong choice in life and the difficulties she faces to come to terms with and to overcome these challenges. The film is able to bring forward a social issue, challenging the stereotypes on women hood and its boundaries. In a nutshell it is a complete family entertainment package with romance, hatred, friendship, humor and action with an underlining social message.